Battlefield 1 & Titanfall 2 Ultimate Bundle EU/RU PS4 420 350 руб. STEEP+Titanfall 2+Deus Ex: Mankind Divided™ USA PS4 540 450 руб. PS4 / RUS * TITANFALL 2 * АКТИВАЦИЯ * ГАРАНТИЯ 718 599 руб. SOULCALIBUR VI+Rocket League+Syndicate+Game EU/RU PS4 720 600 руб. KINGDOM HEARTS III+God of War+Hellblade+11 Games USA PS4 960 800 руб. Assassin Creed Odyssey+Black Ops 4+Pass+Game EU PS4 960 800 руб. PS4 JUMP FORCE+MONSTER HUNTER+Uncharted 4+ARK+15 TOP USA 960 800 руб. PS4 KINGDOM HEARTS III+Spider-Man+Persona 5+11 Games USA 960 800 руб. Far Cry 5 Deluxe+Overwatch+MK XL+6 Games USA PS4 960 800 руб. FAR CRY 5 DELUXE+Black Ops 4+Titanfall 2 USA PS4 960 800 руб. Red Dead Redemption 2+Gang Beasts+Yakuza 0+6 Games USA PS4 1200 1000 руб. TitanFall 2 (PS4/RUS) Гарантия250 руб. Titanfall 2 Standard Edition (PS4) USA250 руб. Titanfall 2 Standard Edition EU/PS4250 руб. Titanfall 2 PS4 USA250 руб. Titanfall® 2 Deluxe Edition PS4 USA250 руб. Titanfall 2: Ultimate Edition PS4 ENG250 руб. Titanfall 2: Ultimate Edition PS4 USA250 руб. Titanfall 2 Deluxe Edition PS4 EUR/ RUS250 руб. 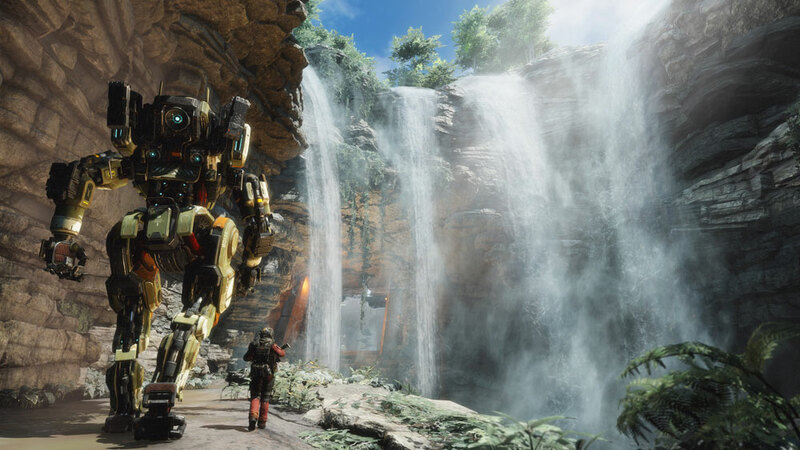 Titanfall 2 PS4 ENG250 руб. titanfall 2 deluxe edition ( EU/Ps4 )250 руб. Titanfall 2: Ultimate Edition PS4 [РУССКИЙ ЯЗЫК]299 руб. Titanfall 2 PS4 EUR/RUS319 руб. Horizon Zero Dawn: Complete + Titanfall 2 Ultimate PS4 USA350 руб. Titanfall 2 Ultimate Edition+Mordor (PS4) USA350 руб. Battlefield 1 - Titanfall 2 Ultimate (PS4) EU}RU350 руб. Tom Clancy’s Ghost Recon Wildlands + Titanfall 2 PS4 USA350 руб. The Witcher 3: Wild Hunt + Titanfall 2 PS4 ENG350 руб. Battlefield 1 + Titanfall 2: Ultimate Edition PS4 USA350 руб. Titanfall® 2 Standard Edition + Battlefield 4™ |USA| PS4350 руб. Battlefield 1 ＆ Titanfall 2 Ultimate Bundle PS4 ENG350 руб. Battlefield 1 & Titanfall 2 Ultimate Bundle PS4 USA350 руб. Battlefield 1 + Titanfall 2 PS4 ENG350 руб. STAR WARS Battlefront+ Titanfall 2 Ultimate Edition PS4 ENG350 руб. Battlefield 1 & Titanfall 2 Ultimate Bundle PS4 EUR350 руб. Battlefield 1 & Titanfall 2 Ultimate Bundle PS4 ENG350 руб. Titanfall 2: Ultimate + Tomb Raider: Definitive PS4 USA350 руб. Need for Speed Deluxe+Titanfall 2: Ultimate(PS4)USA350 руб. 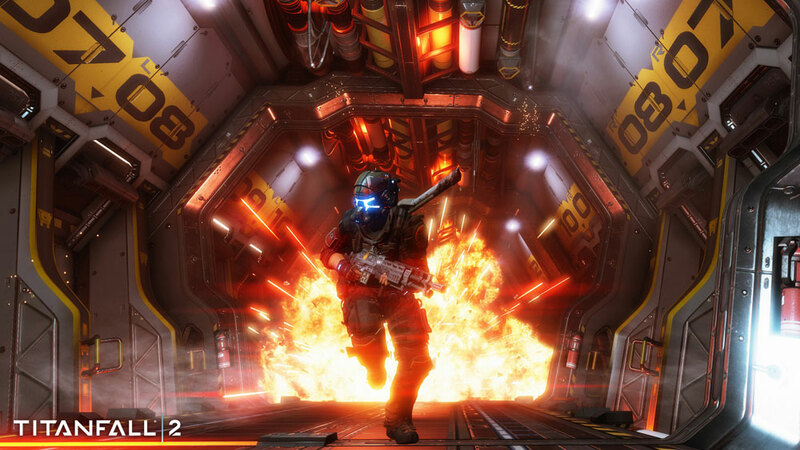 Killzone Shadow Fall + Titanfall 2 PS4 ENG350 руб. Titanfall 2 + Borderlands: The Handsome Collection PS4 EUR350 руб. Bundle ultime Battlefield™ 1 & Titanfall™ 2 PS4(EU|RU)350 руб. Tom Clancy's Rainbow Six Siege + Titanfall 2 PS4 USA350 руб. Battlefield™ 1 + Titanfall™ 2 |RUS| PS4351 руб. Battlefield 1 & Titanfall 2 Ultimate Bundle PS4 EUR/RUS389 руб. Battlefield 1 + Titanfall 2 Ultimate Bundle PS4 EUR/RUS399 руб. FIFA 18+Fortnite +Battlefield 1 + Titanfall 2(PS4/RUS)399 руб. Destiny 2 Deluxe+Titanfall® 2+Battlefield 4 PS4 USA450 руб. Battlefield 1+Titanfall 2+Friday 13 (PS4) EU|RU450 руб. Battlefield 1+Titanfall 2+Alien: Isolation (PS4) EU|RU450 руб. Titanfall 2+Syndicate+Tomb Raider: Definitive (PS4) EU|RU450 руб. Tom Clancy's Rainbow Six Siege+Titanfall 2 PS4 RUS (РУССКИЙ)450 руб. DOOM + Titanfall 2 + TOM CLANCY'S THE DIVISION PS4 EU/RUS450 руб. inFAMOUS+ Deus Ex: Mankind Divided+ Titanfall 2 PS4 ENG450 руб. Titanfall 2+ STAR WARS Battlefront II+ inFAMOUS PS4 EUR/ RU450 руб. Titanfall 2 + Battlefield 1 + Call of Duty: WWII PS4 ENG450 руб. Titanfall 2: Ultimate+NBA LIVE 19+Gran Turismo Sport PS4 EUR450 руб. Titanfall 2 + Deus Ex + STEEP PS4 ENG450 руб. The Crew + Titanfall 2 + Battlefield 4 PS4 USA499 руб. Conan Exiles+BF1+FAR CRY 4+Battlefront II+Titanfal(PS4)EU|RU500 руб. The Witcher 3 Complete+4GAMES PS4 USA500 руб. WWII+No Man's Sky+Skyrim+Titanfall® 2 PS4 USA500 руб. Jurassic World+Horizon+Titanfall 2+MONSTER (PS4) USA500 руб. Mass Effect™: Andromeda +Titanfall™ 2 +Mount & B PS4 РОССИЯ500 руб. The Last Of Us Remastered + Titanfall 2 + BF1 + gms USA/PS4500 руб. Battlefield 1 + Horizon Zero Dawn + gms USA/PS4500 руб. Jurassic World+COD WWII+Titanfall 2+7 DAY (PS4) USA500 руб. Witcher 3+ Titanfall 2+ SHADOW OF THE COLOSSUS+ Games PS4 EN500 руб. Witcher 3: Wild Hunt+DOOM+Titanfall 2+ Dishonored PS4 EU/RUS500 руб. The Crew RUS + 4 GAMES |EUR| PS4500 руб. Wolfenstein+Overwatch+bf1+vIRORS EDGE+titandall ( USA/PS4 )500 руб. Yakuza 0 + Titanfall® 2 + HITMAN PS4 USA500 руб. Destiny 2: Forsaken Collection+NieR+Titanfall 2 (PS4) USA500 руб. Gran Turismo + Destiny 2 + Friday the 13 +3GAME PS4 USA 500 руб. Fallout 4+ FINAL FANTASY XV+Titanfall 2+Call of Duty PS4 EUR500 руб. Mortal Kombat X + Titanfall 2 Ultimate Edition PS4 ENG/ RUS500 руб. The Witcher 3: Wild Hunt GOTY + 4GAMES PS4 ENG500 руб. The Witcher 3+ Battlefield 4+ Titanfall 2+ Games PS4 EU/RUS500 руб. Mortal Kombat XL+ Battlefield 1+ Titanfall 2+ FOREST PS4 USA500 руб. FIFA 18 + Titanfall 2+ Battlefield 1 + FF IX PS4 USA500 руб. Call of Duty®: WWII + Unity + GAME PS4 EUR500 руб. Rainbow Six Siege+ Division+ Titanfall 2+ Tomb Raider PS4 RU500 руб. Destiny 2: Forsaken - Legendary Collection + 4GAMES PS4 USA500 руб. Middle-earth: Shadow of War+ Mass Effect+ Games PS4 RUS500 руб. Titanfall 2 + Killzone Shadow Fall +EA Family Bundle PS4 USA500 руб. AC 4+Sniper Elite 4+GT Sport+BF1+Titanfall 2(RU) PS4500 руб. FIFA 18+Battlefield™ 1+5 GAMES (EUR/RUS) PS4500 руб. Battlefield 1 + Mass Effect + Titanfall 2 + ИГРЫ PS4 ENG500 руб. DiRT 4 +Battlefield 1+Titanfall 2+NBA 2K18 + Horizon PS4 ENG500 руб. Battlefield 1+ Titanfall 2+ Siege+ Dishonored 2 PS4 EU/RUS 550 руб. Battlefield 1+ Battlefield 4+ Hardline+Battlefront II PS4 RU550 руб. Batman + Borderlands + South Park + Titanfall 2 PS4 RUS/ENG550 руб. Watch Dogs 2 + Skyrim + Titanfall 2 + ИГРЫ PS4 RUS/ENG599 руб. Far Cry Primal + 4 GAMES |EUR| PS4599 руб. Battlefield 1 - Titanfall 2 Deluxe Bundle + FF XV PS4 USA599 руб. Killzone Shadow Fall + Titanfall 2 + 2GAMES PS4 USA599 руб. Deadpool + 6GAMES PS4 USA599 руб. For Honor + Shadow of Mordor + Titanfall 2+ ИГРЫ PS4 RUS/ENG599 руб. Horizon+ARK+MONSTER HUNTER+Skyrim+13GAME PS4 USA600 руб. Комплект Battlefield™ 1 - Titanfall™ 2 Deluxe Bundle PS4 RU600 руб. Titanfall® 2+Fallout 76 (PS4) USA600 руб. Fallout 76+ARK+Titanfall 2+GAMES ( USA/PS4 )600 руб. KINGDOM HEARTS+Andromeda+dragon age+assasins+plus ( EU/PS4 )600 руб. HITMAN + Titanfall™ 2 + Gran Turismo + GAMES PS4 EUR600 руб. PUBG+ Mass Effect+ Titanfall 2+ Battlefront II+ DOOM PS4 USA600 руб. Batman + The Witcher 3 + RAINBOW SIX + ИГРЫ PS4 RUS/ENG650 руб. Sims 4+ Wildlands+ TitanFall 2 + Nioh+ games [PS4] USA659 руб. BF1+Titanfall 2+MONSTER HUNTE+Hellblade (PS4) USA699 руб. 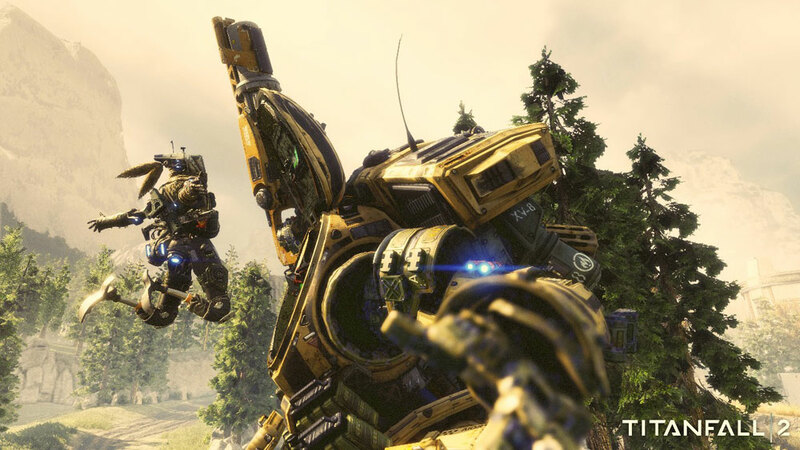 Titanfall 2 + The Crew + Battlefield 4 PS4 USA699 руб. Need for Speed™ Payback - Deluxe Edition + GAMES PS4 USA699 руб. Destiny 2 + Forsaken+BF1+Titanfall 2+Star Wars PS4 EUR/RUS699 руб. Mafia III + Watch Dogs 2 + Titanfall 2 +Saint Row IV PS4 USA699 руб. Sniper Elite 4 + LEGO Worlds +Unravel Two+4GAMES PS4 EUR/RUS699 руб. Watch Dogs 2 + Horizon + Dirt Rally + 6GAMES PS4 USA699 руб. The Order: 1886 +FIFA 18 +NHL 18 +NFL 18 +3GAMES PS4 EUR/RUS699 руб. Titanfall 2 Ultimate Edition + Horizon + 9GAMES PS4 USA699 руб. Destiny 2+WWII+MONSTER HUNTER+7GAMES PS4 EUR/RUS700 руб. Spyro Reignited Trilogy+BF1+Titanfall 2 (PS4) USA700 руб. Payback + Outlast 2 +Nioh + GAMES PS4 РОССИЯ700 руб. Assassin's Creed Odyssey (EU) PS4700 руб. Mortal Kombat XL+ NFS Payback + 4GAMES PS4 USA799 руб. DARK SOULS III + DIVINITY ORIGINAL SIN +8GAMES PS4 EUR/RUS 799 руб. Wolfenstein II + Dishonored 2 + Destiny 2 + ИГРЫ PS4 ENG799 руб. God of War+For Honor+Lost Legacy+BF1+BATMAN+Horizon(PS4)USA800 руб. Call of Duty: Black Ops 4 + NieR +Titanfall 2 + ИГРЫ PS4 ENG800 руб. God of War+Shadow of War+BF1+Titanfall 2 (PS4) USA800 руб. Forsaken+FAR CRY PRIMAL+Battlefield™ 1 PS4 EUR800 руб. God of War + Horizon Zero Dawn + BF1 + gms ENG/PS4800 руб. Marvel's Spider-Man + Titanfall 2 ENG/PS4800 руб. Black Ops 4+ God of War (2018) + Destiny 2 + 4 Games PS4 USA800 руб. God of War (2018)+ Spider-Man+ Black Ops 4 + Games PS4 ENG800 руб. Spider-Man+Titanfall® 2+Dishonored 2+Destiny 2(PS4)USA800 руб. Marvels Spider-Man + Battlefield 1+Titanfall 2 Deluxe PS4 US800 руб. FAR CRY 5+RE7 GOLD+BF1+Titanfall 2+AC Ezio Collection(PS4)US800 руб. Far Cry 5+Ghost Recon+BF1+Titanfall 2+ARK (PS4) USA800 руб. God of War + PUBG + Titanfall 2 PS4 USA800 руб. Battlefield V+Battlefield 1+Bloodborne+inFAMOUS+Games PS4 EN800 руб. Call of Duty: Black Ops 4 + Titanfall 2: Ultimate PS4 USA800 руб. Battlefield 1 Revolution + Fallout 76 + 9GAMES PS4 USA800 руб. KINGDOM HEARTS III + Titanfall 2 + The Last Of Us PS4 USA800 руб. Battlefield V + Battlefield 1 + 4GAMES PS4 USA800 руб. Assassin's Creed Odyssey + Overwatch + ИГРЫ PS4 ENG800 руб. FOR HONOR+ Rainbow Six + Battlefield™ V + 4 GAME PS4 EUR850 руб. Battlefield 1+Titanfall 2+HITMAN+Way Out+Overwatch[PS4\RUS]899 руб. A Way Out + THE FOREST + 6GAMES PS4 USA899 руб. ROCKSMITH 2014 EDITION + 5GAMES PS4 EUR899 руб. DARK SOULS III - Deluxe Edition +7GAMES PS4 USA899 руб. Nioh - The Complete Edition+Spider-Man+games PS4(ENG)900 руб. Ni no Kuni II + Titanfall 2 + Subnautica + ИГРЫ PS4 RUS/ENG900 руб. NFS Payback Deluxe+WWII+7GAMES PS4 EUR900 руб. PUBG + Дожить до рассвета™ + Just Cause 3 PS4 Россия900 руб. Battlefield™ 1 + Titanfall™ 2+Deus Ex: Mankind PS4 RU\Россия900 руб. Marvel's Spider-Man+10 TOP GAMES (USA) PS4900 руб. Battlefield™ V + Black Ops 4 + Ghost Recon+ TOP GA PS4 USA900 руб. Marvel's Человек-паук+BF 1+Titanfall 2+1 (PS4/RUS)900 руб. God of War + Horizon+ GAME PS4 USA900 руб. BF1+Fallout 4+Titanfall 2+Battlefront+Deus Ex+2ИГР[PS4\RUS]999 руб. FOR HONOR+RE 7+BF 1+TF 2+UNCHARTED 4+ИГРЫ(PS4/RUS)999 руб. Ведьмак 3 Игра года+F1 2016+BF 1+TF 2(PS4/RUS)999 руб. Batman: Arkham Knight + 12GAMES PS4 USA999 руб. HITMAN GOTY + The Witcher GOTY +6GAMES PS4 EUR/RUS999 руб. The Witcher 3: Wild Hunt+Mafia III+HITMAN+8GAMES PS4 EUR/RUS999 руб. PAYDAY 2 - CRIMEWAVE EDITION + Killzone + 10GAMES PS4 USA999 руб. FIFA 19 + Battlefield 1 + Titanfall 2 PS4 EUR/ RUS1000 руб. UNCHARTED: The Lost Legacy+UFC® 2 Deluxe+11GAME PS4 USA1000 руб. Payback Deluxe+Horizon+ARK+WWII+Witcher 3+4GAME PS4 EUR1000 руб. Fallout 76+FAR CRY 5+God of War+Gran Turismo PS4 USA1000 руб. Redemption 2 + Black Ops 4 + Battlefield V + Games PS4 USA1000 руб. RDR 2+Black Ops 4+Titanfall 2+BF1 (PS4) USA1000 руб. RDR 2+Destiny 2: Forsaken+Titanfall® 2+FIFA 18 (PS4) USA1000 руб. FIFA 19 + Battlefield 1 + Titanfall 2 PS4 ENG1000 руб. KINGDOM HEARTS III + Black Ops III + Nioh + GAMES PS4 EUR1000 руб. Red Dead Redemption 2 + God of War + 2GAMES PS4 USA1000 руб. MK XL+RDR2+PUBG+Battlefield 1+игры (USA) PS41000 руб. Wolfenstein II: The New Colossus +12GAMES PS4 USA1099 руб. Middle-earth: Shadow of War Gold Edition +8GAMES PS4 USA1099 руб. NieR: Automata + EARTH DEFENSE FORCE 5 +10GAMES PS4 USA1099 руб. God of War + RDR2 + Horizon +15GAMES PS4 USA1099 руб. Battlefield V + Odyssey + FIFA 19 + GAMES PS4 EUR1100 руб. Sniper Elite 4 + DARK SOULS III + Nioh + 10GAMES PS4 EUR/RUS1199 руб. PS4 Red Dead Redemption 2+Destiny 2: Forsaken+11 TOP USA1200 руб. RDR 2+Fallout 4+Titanfall 2+Battlefield 1 (PS4) US|RU1200 руб. Far Cry®5 + God of War + South Park + 15 ТОП ИГР PS4 РОССИЯ1200 руб. Battlefield V+ Titanfall 2: Ultimate+ Uncharted PS4 EUR/ RUS1200 руб. Red Dead Redemption 2 + Black Ops 4 + 3GAMES PS4 EUR/RUS1200 руб. BATMAN AK+Shadow of War+RDR2+WATCH_DOGS® 2+игры (USA)PS41200 руб. FIFA 19 + God of War + Titanfall 2 + GAMES PS4 EUR1200 руб. Battlefield V + Titanfall 2 + CoD IW + ИГРЫ PS4 РОССИЯ1200 руб. God of War+Nioh+Evil Within 2+Titanfall 2+Burnout(PS4/RUS)1299 руб. God of War + Mortal Kombat XL + ИГРЫ PS4 RUS/ENG1399 руб. Red Dead Redemption 2:Special+UFC+7 GAMES (EUR/RUS) PS41400 руб. RESIDENT EVIL 2(RUS)+KINGDOM HEARTS III+32GAMES(USA) PS41400 руб. Division 2 + Spider-Man +Shadow of War + GAME PS4 USA1400 руб. Anthem™ Legion + Forsaken + Rocket League + GAMES PS4 USA1400 руб. Devil May Cry 5 + MONSTER HUNTER: WORLD + 14GAMES PS4 USA1400 руб. Division 2 + Mad Max + GAMES PS4 USA1400 руб. Far Cry 5 + Call of Duty + Wildlands + ИГРЫ PS4 РОССИЯ1499 руб. Far Cry 5 + RAINBOW SIX + The Division + ИГРЫ PS4 РОССИЯ1499 руб. FIFA 19+Battlefield V+PSPlus+Bloodborne+10 игр(PS4/RUS)1499 руб. COD BO 4+MK XL+Средиземье+Ведьмак 3+Horizon+5 игр(PS4/RUS)1499 руб. Battlefield V + FAR CRY 5 + MK XL + 20GAMES PS4 USA1499 руб. Far Cry 5+Spider-Man+UFC 3+NFS Payback+5 игр(PS4/RUS)1499 руб. Mutant Year Zero+Far Cry 5+NHL 19+TEKKEN 7+5 игр(PS4/RUS)1499 руб. Detroit+God of War+BF 1+BF 4+TF 2+7 игры(PS4/RUS)1499 руб. Anthem + FIFA 19 + Redemption 2 + TOP GAMES PS4 EUR1500 руб. Battlefield™ V + Spider-Man + Odyssey + 15 GAMES PS4 USA1500 руб. Division 2 + Ghost Recon +FAR CRY 5 + GAMES PS4 USA1700 руб. Division 2 + KINGDOM HEARTS III + TOP GAMES PS4 EUR1700 руб. RESIDENT EVIL 2 (RUS)+Mortal Kombat XL+4GAMES(USA) PS41700 руб. Devil May Cry 5 + KINGDOM HEARTS III + GAMES PS4 USA1700 руб. The Division 2 + Anthem + Redemption 2 + GAMES PS4 EUR1700 руб. Sekiro + God of War + Spider-Man + GAME PS4 USA1750 руб. FIFA 19+BF 4+UFC 3+TF 2+Detroit+COD BO 4+PSPlus(PS4/RUS)1799 руб. UFC 3 + UFC 2 + Battlefield V +Battlefield 1+30GAMES PS4 USA1799 руб. FOR HONOR™ DELUXE+Destiny 2+ 3 GAMES (RUS) PS41799 руб. Call of Cthulhu+ACE COMBAT 7+God of War+MK XL+10 иг(PS4/RUS)1999 руб. Mortal Kombat 11+RDR 2+Batman+Ведьмак 3+3 игры(PS4/RUS)1999 руб. Spider-Man + Odyssey + Jurassic World + 16 TOP GAME PS4 EUR2400 руб. Sekiro + Devil May Cry 5 + RDR 2 + ИГРЫ PS4 RUS/ENG2499 руб. RESIDENT EVIL 2+Battlefield V+NHL 19+FIFA 19+17 игр(PS4/RUS)2999 руб. Titanfall 2 (PS4/RU) (Аренда 7 дней)80 руб. 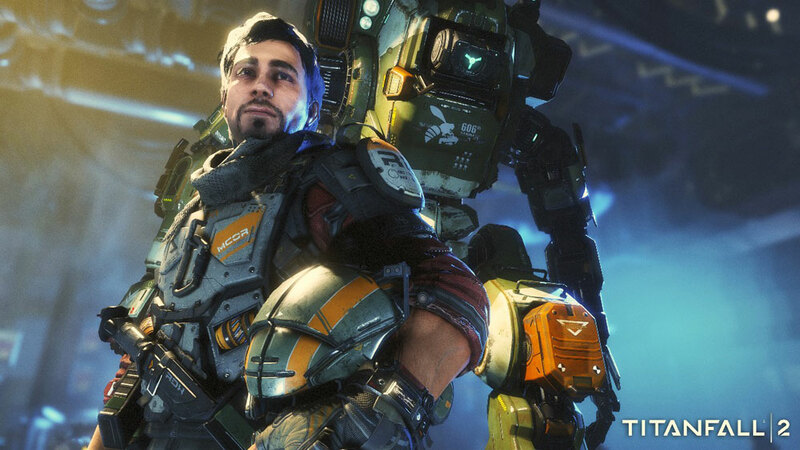 TitanFall 2 (PS4/RUS) Аренда 7 суток85 руб. Titanfall 2 PS4 RUS РОССИЯ — Аренда 2 недели150 руб.